Get the shoes in the shop! Like Ako, we are all waiting for the spring with warmth and green surroundings. WHY PINKY? The Pinky Street girls are simply the most adorable creations to come from the Japanese world of cute and pop. Both attractive and innocent, they express so much with so little. They are also very photogenique and don’t mind posing for hours on end with very little food or rest. By mixing the hip clothes and hair pieces from the many girls available, you can create virtually millions of unique individuals. WHY PENTAX? The digital SLR with the strange name (*ist D) followed a long line of extremely popular and useful cameras as the first of a several very good digital SLRs that all can use the many (230) excellent vintage lenses made by Pentax. Both the budget model K100D and the semiprofessional K10D has had great reviews and sold well both i Japan and elsewhere. Those were followed by the K200D and K20D as well as several new nice lenses. The smaller but still capable model K-m caters for the new users. Coming up in the summer of 2009 is another winner, the hot K-7 that will be a strong candidate for the DSLR of the year. The series 11 girl in her three poses and costumes. Sweet and innocent as they are, the Pinky girls would be virtually unknown without their friends all over the world. The best place for meeting Pinky friends outside Japan is pinky-street.com with the world’s best and largest Pinky Forum that now has over a thousand registered members. But wait, there’s a lot more to wet your appetite; tons of Pinky images, lots of useful info in the Pinky University, the latest Pinky news, and several special Pinky activities! Latest Pinky news: It looks as if the L'Arc~en~Ciel set was such a success that they have issued a second set that should become available at the end of the year. It can be ordered at Japan Discoveries. It looks as if you can order this limited set at this site for international delivery starting Nov 20th. Best to do so right away though! More images of the four boys at HajimetenoPinkyst. We have had no official Pinky news for a very long time but now I am happy to say that Baby Sue has created a new collaboration set – four guys in the Japanese L'Arc~en~Ciel rock band that celebrate their 20th anniversary as Pinky figures! Official BS page here. Regrettably, they will probably be very difficult to get, possibly only sold at special events in Japan. Series 11 Pinky started selling November 26 (2010). Official Pinky site. VANCE used the 50th Hobby Festival to show the finished series 11 girl that should go on sale in November. Hajimenopinky report. The official Pinky site now features a page for the upcoming Kobato Pinky! She was released August 10! It has been the Summer Wonder Festival again. Pictorial report in this blog. Lots of custom Pinky here. VANCE showed series 11 and the second Kobato figure. Preorder Hanato from Hobby Search or from HLJ. NHK Sawako is starting to appear. She is a stunner. Closeups at natalie's place! More great pics here. She is actually two figures and comes with two bases. The series 10 Pinky started selling June 15. Her official page is here. The first reports are up – here are a bunch of neat pictures. The Kimi no Todoke Pinky Sawako from NTV is now listed on the Pinky site. She should become available at the end of June. Preorder at HLJ or HobbySearch. The first Summer Wars Pinky reports are in. She really looks very nice. P is for Pinky report. Another well illustrated report (Japanese) with Yoshiko standing in. The Summer Wars Pinky Natsuki Shinohara started shipping May 14. VANCE page here. Order her at HLJ, Hobby Search or JBOX. The Kobato Pinky New Type version ships in May and the gerneral release version in June. BABYsue opens a web shop for Japanese customers Friday March 26. Excellent images (138) from Pinky reporter HIRO. Very complete WF report from P is for Pinky. Pinky and more from Shopping Basket. WF report with many cool Pinky customs from HajimetenoPinky:st. here. The Winter Wonder Festival is over and VANCE was offering a limited Pinky release for the occasion. Two sitting Pinky in traditional Japanese robe make up a hinamatsuri couple. Absolutely adorable but only avaliable in Japan. However, mail order will doubtless place a good number on eBay or Yahoo so you should be able to get them for around 4,000 Yen plus shipping and handling (around US$50). The Official Pinky Site now has a photo of the painted Kobato Pinky display! This was mail order from the NewType magazine only. The Japanese Wiki Pinky page offers names for the series 7 and 8 girls! Not sure if these are official but they will do for now. My web editor does not allow for Japanese characters but their approximate English translations are – PK019 Chika, PK020 Aya(me), and PK021 Sandra (Sandy). Series 8 are PK022 Yasuko, PK023 Kurumi, and PK024 Megu (Meg). VANCE is at the 49th Hobby Show with prototypes of the series 10 girl and other upcoming Pinky. New characters are anounced: Kobato Hanato from the CLAMP manga. Bell blog entry here and here. 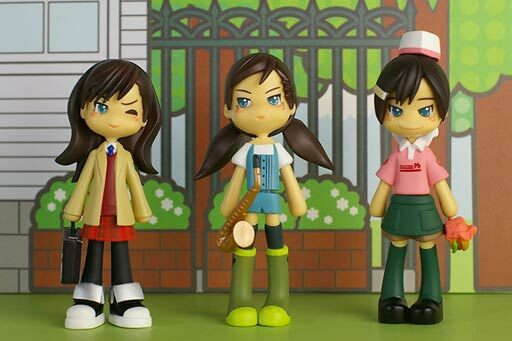 Akiba Hobby image of Summer Wars Pinky, series 10 girl, and Pinky Postman. More VANCE info on the Wonder Festival took place on July 26. The finished series 9 (PK025-027) was exhibited, of course, but also prototypes of series 10 (PK028-030) and a new Pinky:cos and a Pinky:character, a Summer Wars Pinky and a Pinky Postman with moped! Visitors were able to snap photos of themselves with a giant (supadeka – 80cm, original deka was only 30cm) Pinky Yoshiko! As usual, there were also many Pinky related figures from both talented amateures and pros. Early photos can be seen at RuiRui’s site! Latest Pinky site addition: Series 9 is new on the site. What we are waiting for: Series 11 shipping now. Pentax has released a new lens, the HD Pentax-D FA* 50mm F1.4 Lens for its full-frame cameras. It is a great lens according to the PentaxForums.com review. PentaxForums.com now has a review of the second generation full frame Pentax K-1 Mark II. PentaxForums.com offer a new review of the great 77 mm short tele lens (as well a recent one of the equally great 31 mm limited). Links in the lens pages to the left. It is CP+2018 and Pentax introduces a new New K1 Mark II with 36 MP sensor. New year 2018. Pentax Forums looks back at all the Pentax news in 2017. 2017 and Pentax offers a new midrange APC-C model, the Pentax KP. Read all about it at Pentax Forums. s Pentax Forums har hittat troliga specifikationer för en kommand instegsmodell – K-70 hos japanska Digicame Info. The full fram Pentax K-1 is here and Pentax Forums offers a review. CP+ 2015 is here, that is in Yokohama, with a mockup of the eagerly awaited full frame Pentax DSLR. It looks big. DCWatch offers some images, as usual. There is also to see, of course, the new K-S2, predictably a successor to last years K-S1. The new model looks much better, not so gimmicky as the S1.DCWatch has a lot of fine images, as usual. Much more including specs and product photos at Pentax Forums. There is also a new compact zoom lens, the HD PENTAX-DA 18-50mm F4-5.6 DC WR RE. DCWatch page. Pentax Forums now offers a review of the new HD Pentax-DA 20-40mm F2.8-4 DC WR Limited zoom lens that could be of interest to many despite the price of $999. Pentax Forums has a review of the new HD lenses that are compared to the old SMC limiteds. Pentax has announced two lenses, the Pentax 20-40mm DC WR Limited DC features silent AF and weather sealing. The SMC Pentax-Q 08 Wide Zoom 3.8-5.9mm F3.7-4 is a compact wide zoom for the Q8 camera. They are priced at $999 and $499 respectively. Pentax Forums now offers a comprehensive review of the new Pentax flagship DSLR. Pentax i refreshing their line of DA Limited lenses with a HD coating and rounded aperture blades. More on Pentax Forums. As usual, DCWatch offers info in Japanese with great photos of both silver and black lenses. DCWatch first review of a colorful Pentax Q-7. DCWatch overview of Q7. Although the K-01 is discontinued in Japan, Pentax will offer a new K-01 Lens Kit White x Blue designed by Marc Newson on July 25. Come June, Pentax announces new cameras. The K-50 replaces the K-30 at a lower price (DCWatch K-50). It will come in 120 colors. The K-500 is a lower price version without weather sealing. The compact mirrorless Q7 is a new version of the Q10 with a larger sensor (DCWatch Q7). More info on the new models can be found at PentaxForums, as usual. New for 2013 is the Pentax MX-1, a retro style compact for the enthusiast. It will come in a silver and a black model for $500. Read more about MX-1 on the Pentax Forums. Pentax X-5 news in English from Pentax Forums. They mention that this camera is loaded with value that comes very cheap at $279. Late August, Pentax announced the X-5, a new superzoom compact with a flexible screen. DCWatch has pictures. Register Hardware offers a Pentax K-01 16Mp APS-C hybrid camera review. Pentax Forums now offers an in depth review of the K-30. DCWatch has posted its fast impression of a white K-30. Even if you do not understand the Japanese, the many excellent images may be informative. The K-30 most likely come in several additional colors that are shown in this extensive post on (Japanese) DCWatch. Pentax Spain teases with a gift box for June 1st. What can it be? 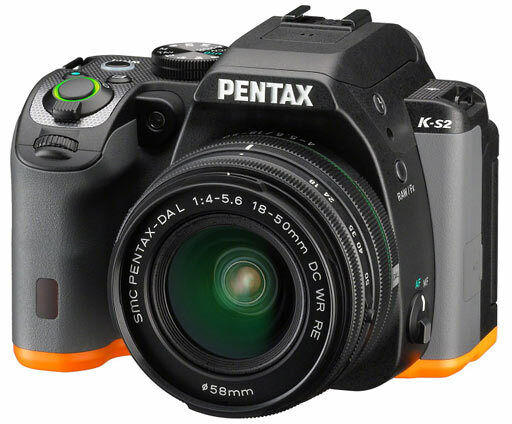 The rumors were true, Pentax today launched the new introdutionary DSLR – the K-30. Fully weather sealed and sporting both front and back dials it will become available this summer in three colors. It has a glass pentaprism – not the mirror thing of cheaper models. PentaxForums announcement with details of the new AF system. DCWatch news flash. New is also the low priced DA 50mm F1.8 lens – DCWatch. Japanese LOEWE now offers a Pentax Q Magenta Pink and some neat pink bags to hold camera and lenses. DCWatch has the pictures. DCWatch has published its review of the K-01. In Japanese, as usual, but the many picture samples may be of interest to anyone. Japanese fans may son lay their hands on the limited silver version of the Pentax Q, as shown during CP+. DCWatch has a picture. There will soon be a PENTAX K-5 Silver Special Edition that comes with a silver version of the new compact XS lens made for the K-01. It will be sold worldwide but only 1,600 pieces. DCWatch text, PentaxForums thread with great photos! Fans of the Pentax Q may start saving for a very special lens – the MS Optical Sonnetar 25mm f/1.1 that is made by the craftsman Miyazakisan and sold on eBay for $650. PentaxForums thread. The Register has reviewed the tiny Pentax Q compact mirrorless interchangeable lens camera. BTW, Pentax showed a limited crome version of this on CP+. View towards the end of this DCWatch report. This also shows a pink Q for LOEWE. Thursday Feb 9 opened CP+ camera exhibition in Japan and Pentax announced the K-01 in that country. They have also announced a number of new lenses, many of which should show up this year. DCWatch has an overview. English announcement. 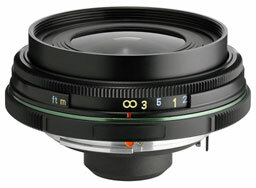 The image shows a coming compact lens for the K-01. Compare the K-01 size with that of other cameras such as the K-r on this excellent site. The Pentax K-01 mirrorless is here and at closer range it looks quite interesting. Read all about it at Pentax Forums. Pentax Optio VS20 is a new compact with one visible new feature – a second shutter button on the short side that should make it easier to shoot portrait oriented pictures. Another first for Pentax! Firmware updates for the Pentax Q and its main lenses improve stability and focusing. PENTAX Forums now offers a complete review of the tiny Pentax Q. With its 175 grams, the Pentax Q is the smallest camera with interchangable lenses. On October 1st, Ricoh took over the Pentax camera business. It announces: A new mirrorless camera will be developed by Pentax Imaging Systems Co. Equipped with a larger sensor, the new model will allow for a wide variety of photo styles, such as making out-of-focus areas in a shot much more blurry. Features like this aside, it looks as if the future lies in advanced mirrorless cameras (MILC). The immediate question is of course where this lands all of us with a large investment in some of the best lenses available to any photographer. Will the new cameras accept the K series lenses? Another surprice camera from Pentax – the tiny superzoom Optio RZ18 that features 18x zoom in three colors. The sensor is 16 MP with SR, of course. DPReview has some specs and DCWatch (Japanese) has more pics. A new feature is pet recognition, go figure! The Fukushima Prefecture, Japan, also features the Sakamoto Urushi Manufacturing Co., Ltd. that makes unique lacquer finished products. Pentax now offers a limited version of the 645D in this exquisite finish. Made to order only in Japan. DCWatch has the pictures. Akihabara english info. Pentax has released a new 1.10 firmware for the K-5, K-r, and 645D. The all weather all terrain Pentax Optio WG-1 GPS will soon come in an orange color. DCWatch has some images. Fans of the Optio RS1500 have more cute front images to choose from. Three Gloomy bears and three each from eight Shibuya shops – the Gal’s collection. The Pentax O-GPS1 provides geotagging for the K-5, K-r and 645D. The first two can also utilize an astrotracer function that makes it easier to snap celestial bodies. Requires $250 in July. Read more about here. Camera GP Japan Awards 2011 has chosen the Pentax 645D as its Camera of the Year. The Pentax K-r will soon be available in a limited Rainbow edition in cooperation with Tower Records Japan. Those who already owns a K-r can choose between five different Camo grips. TIPA: Best D-SLR Professional: PENTAX 645D. Macworld offers a good review of the Pentax K-r. 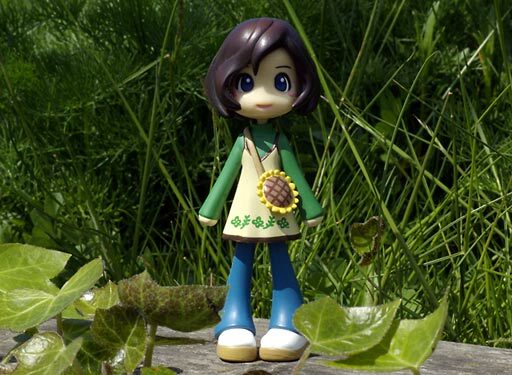 Fans of the K-r take notice: The Takara miniature mascot version can now be bought worldwide. For $59 ibuyxyz will ship all 15 to you, free of charge. Fans of the K-r can admire the limited Rilakkuma version that is cute for the Japanese. Photozone now offers a nice review of the new budget lens Pentax SMC DA 35mm f/2.4 AL. It is light-weight plastic but still looks good and feels good. The pictures are more than decent. The customizable Pentax compact line has been updated with the second generation Optio RS1500. This ships with 10 face plates in the box but you can make your own designs too. Kamera&Bild RS1500. Meanwhile, those who have the RS1000 can look forward to a series of swappable lens rings and buttons for their Optios. Pentax Forums now offers a Pentax D-FA 100mm WR Macro review. Pentax Optio S1 is a new compact that features HDR on a budget. Just $200 for this cute camera that comes in three colors. Apples Digital Camera RAW Compatibility Update 3.6 brings support for the K-r and the K-5. Reg Hardware now offers a nice review of the great Pentax 645D. Japanese artist BONNIE PINK has designed a version of the K-r in camoflage, red and purple. A collectors item for sure. Admire it on the DCWatch site. The Pentax K-5 is now available in silver. Pentax Forums has the pics. The Optio RS1000 can be customized with personal skins and Pentx offers a number of suggestions that can be downloaded and printed. DCWatch has the pics and the link. Digital Photography Review now features a Pentax K-5 In-depth Review. PENTAX forums now offers their own full-length Pentax K-r review. They also have a review of the new budget SMC Pentax-DA 35mm F2.4 AL lens. PENTAX forums now offers an extensive Pentax K-5 Professional Review. You can get the official Pentax O-ICK1 image sensor cleaning kit from J-pop seller on eBay for $35 + S&H. Search for O-ICK1 on the bay. No camera is better than its lens. There are good lenses, not so good ones, and a few really bad ones. Pentax makes some very good lenses. But there is more to lenses than optical performance. Size and handling also counts. The Pentax limiteds shine on both accounts, especially so the new DA range of tiny limiteds that cover the range of 21 to 70 millimeters. The tiny lenses where a deciding factor when Carl Weese purchased the new K10D DSLR. Read his musings in the The Online Photographer blogspot. Latest Pentax site addition: Updates to the K10D page (K20D). European Pinky agent plasticpop New! All Pinky and goods listed (Japanese) Pinky:st.tenani?